The award-winning Finnair is launching a new high-speed internet service on its narrow-body Airbus fleet on European flights. From today onwards, Finnair customers will be able to enjoy the industry's fastest in-flight connection speeds—even gate-to-gate—enabling each customer to use the internet as they do on the ground, from web surfing and online shopping to listening to music and even watching movies and TV shows from popular video streaming services. 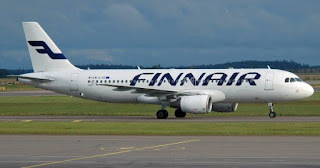 Finnair partnered with global communications company, Viasat Inc. to deliver the high-speed in-flight internet service, which has already been installed on 6 of Finnair's narrow-body Airbus aircraft. By the end of this summer, about 20 aircraft are expected to be installed with internet connectivity, with the entire narrow-body Airbus fleet expected to be internet connected by summer 2019. Viasat's Don Buchman, vice president and general manager, Commercial Aviation added, "Finnair is a customer-focused airline bringing the latest technology to their fleet to ensure advanced passenger engagement. We're proud to partner with them, and provide onboard internet experiences that deliver on unmatched speed and quality. In entering the passenger testing phase, we'll be gaining the critical insights needed to further optimize our service to ensure Finnair customers get a unique experience built around their needs, interests and usage behaviours."